Our Magic Roller is a high-performance, professional roller made of top-quality, closed-cell foam, so it holds its round shape and Comfort Soft feel. The non-skid, “grippy” surface prevents sliding, improving the accuracy of movement. 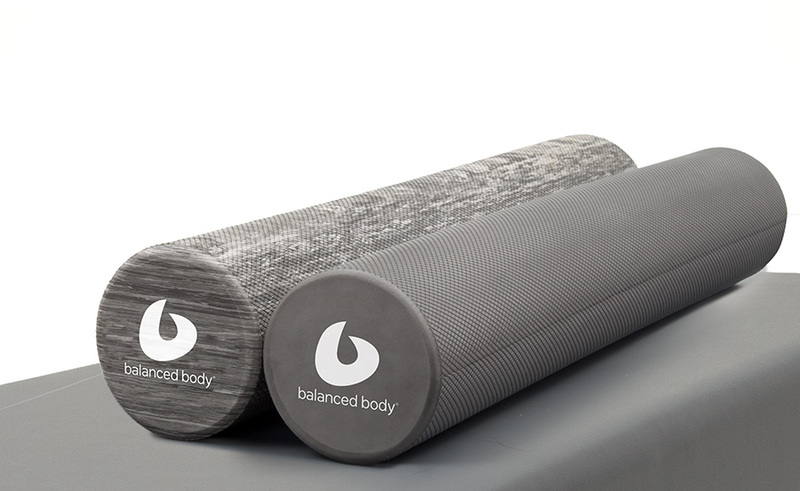 Our premium Magic Roller comes in studio-friendly gray neutrals! Two great colors to choose from: Swirlie Gray and Rain Cloud Gray! Both rollers are 6" x 36" (15cm x 91cm), with medium firmness. The optional—and free—Roller Poster includes a sampling of our favorite foam roller exercises. For a different level of firmness, try our Black Rollers (extra firm), White Rollers (firm), or our softest, the Softie Roller. Volume discounts are available on for quantities of 10 or more Magic Rollers. Please call to order for discount. Available for FREE with Magic Roller purchase. Store up to 5 rollers. See the Foam Roller in action with these videos!